Until an audiobook version is available, my imagination will have to do. When sharing the cut scene from The Alchemist’s Notebook, I mentioned the character of Clyde had been written with Larry Finkelstein from television’s Dharma & Greg in mind, though Clyde only had a passing resemblance to the character. It was Alan Rachins’ voice, more than anything, that I heard while writing Clyde’s dialogue. I do this. A lot. I do it when I’m reading, and I do it when I’m writing. I start to hear celebrities (mostly actors and actresses, but not always) speaking the dialogue. So, I thought I’d share which other celebrities popped up when I was writing. Unlike the game of dream-casting actors in roles for future (but inevitable!) film versions of a novel, I’m not actually suggesting any of these people are right for the roles they play in my head. For one thing, they might not look the part at all. For another, sometimes (as you’ll see) their ages are vastly different from the characters’. 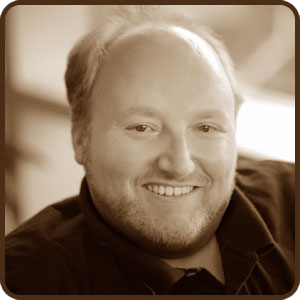 To start, Malcolm Ward, as the narrator, is the most important voice in the novel. Some would say it’s my voice, but I’ve heard from those who have read my book that they don’t hear me in it at all (although my voice is heard a bit in his more sarcastic remarks). 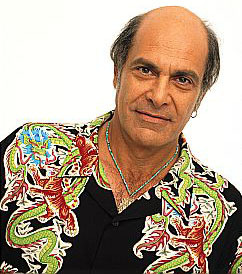 When I first wrote Clyde, I pictured Larry Finkelstein (Alan Rachins) from television’s Dharma & Greg. It’s been awhile since I posted anything on my blog, so I thought I’d take a moment before the holiday weekend to give everyone a small “thank you” for being so awesome. In honor of Independence Day (the day when Will Smith and Jeff Goldblum defeated the aliens and drove them from our planet), I’m giving you a little something for free: a cut scene from The Alchemist’s Notebook. If you’ve read my novel, you might recognize the name Clyde. He was Malcolm’s dear friend and mentor, mentioned in passing as the original owner of Mal’s beat-up old van. That’s the only reference to him now. But in the beginning, he was a crucial part of Malcolm’s backstory. When I first wrote The Alchemist’s Notebook, I included a series of flashbacks to 2005, when Malcolm first left the Ardennes Forest and returned to America. He was in Savannah for a while, and met Miss Shaniqua, a psychic who told him to “follow the lines.” That led Malcolm to meet Clyde, and the start of their adventure together. I loved writing him. Clyde was an optimistic old man who saw the good in everyone. He wanted nothing more than to help others, and took it upon himself to help Mal transition to life in the modern world. Unfortunately, sometimes a good scene, even a good character, has to be cut from a book if it will help the story. My editor, Sara, was reluctant to recommend that I cut all the flashbacks, but we both agreed the novel worked better without them. I have hopes of one day revisiting Clyde, but it will have to be with a new story. I hope you enjoy this never-before-seen excerpt from The Alchemist’s Notebook. Miss Shaniqua directed me to a place on the other side of town called Exotic Destinations. I expected a small office, filled with ringing phones and overenthusiastic travel agents. Instead, I walked past the glass door through a smoky cloud of incense. The alchemist in me assumed it was a cleansing ritual, but the cynic in me wondered if it was there to mask other smells that might interest the local sheriff. I’m excited to announce my first Goodreads giveaway. 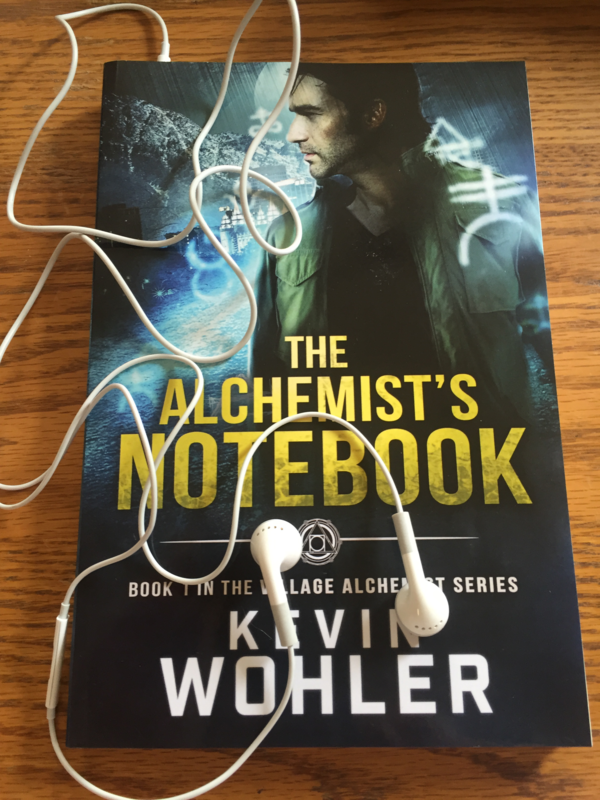 I’ll be giving away three (3) copies of the trade paperback edition of The Alchemist’s Notebook. That’s right! A real, physical copy for your very own. Be sure to enter soon. The giveaway ends on June 18th. Good luck! Today is a big day. My first novel, The Alchemist’s Notebook, has been published and released into the wild. This is big. So big. Huge. The Alchemist’s Notebook is available exclusively through Amazon KDP Select for the next 90 days. Right now it’s available for the Kindle (and Kindle reading apps). A paperback version will be coming in the next week or so. After the KDP Select period is finished, the novel should be available for all e-book platforms (including Nook, Kobo, and iBooks). This is the kind of fantasy story I wanted to read. It takes a nice-but-gruff alchemist (and small business owner) out of his comfortable setting and forces him to help solve a mystery in order to help the community. This is not a detective story. It’s not a mere fantasy. But it has elements of both. Most people probably don’t know this, but The Alchemist’s Notebook isn’t technically my first novel. Nearly 20 years ago, I actually quit a good-paying job to write full-time and finish my fledgling manuscript. My co-workers thought I was crazy. Most of them didn’t even realize I wanted to be an author. After several months, I finished the book and started querying agents. It was not well received, and I never had even so much as a nibble. But I didn’t give up. I put that book into a folder on my computer marked “Not Published” and moved on to the next idea. Over the next decade, I wrote mostly movie reviews and short essays. Then, about five or six years ago, I started writing stories again. Thanks to the local writer’s group (shout-out to the LFK Writers! ), I took part in National Novel Writing Month and tried to write a novel. 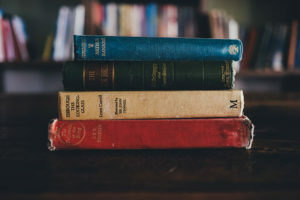 Over the next few years, I started and stopped three different novels (one of them I tried writing twice). But it wasn’t until I wrote a short story called “Paradise Out of Order” for the anthology Dimensional Abscesses that I realized what kind of story I really wanted to write. For the past year, I’ve been working hard to bring The Alchemist’s Notebook into this world. It took a lot of research, a lot of early morning writing, and a lot of busy weekends, but it was all worth it. I hope you enjoy reading it, and stay tuned for future novels in The Village Alchemist series. 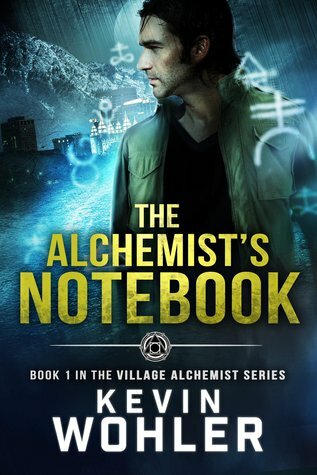 Get The Alchemist’s Notebook for the Amazon Kindle.